In a season marred by a slow start, inconsistency, the threat of suspension, and distention, the Cowboys still managed to finish 9-7, good for second in the NFC East. Head Coach Jason Garrett enters his eighth full season at the helm with a healthy Dak Prescott and an Ezekiel Elliott who is totally cleared to play. The Eagles have cemented themselves atop the division, but the path to the playoffs should not be too daunting for this talented group. Because of their inconsistency in 2017, this year’s Dallas Cowboys betting odds provide more value than last and are a solid bet due to their talented roster and experienced coach. The Cowboys took the NFL by storm in 2016, posting a 13-3 record with rookies at quarterback and running back. These rookies are the Dak Prescott and Ezekiel Elliott. They now enter their third season and expectations are sky high for the duo. Prescott threw for 3,324 yards in 2017 along with 22 touchdown passes while Elliott rushed for 983 yards and 7 touchdowns. Although these are very good numbers, the duo lacked the magic and dominance that they exploded onto the scene with the year prior. Any success the Cowboys will enjoy this season begins with these two. They will need to be special. It is not very often that losing last year’s top receiver is seen as beneficial to the team, but that just may be the case with Dez Bryant and the Cowboys. As the 24th pick in the 2010 NFL Draft, it did not take long for the Oklahoma State product to establish himself as one of the game’s top wideouts. Bryant peaked in 2014 as an elite talent and genuine gamechanger before crashing down and posting mortal numbers the previous three seasons. Although the team’s top receiver in 2017, the media made it known that Bryant created more problems for his teammates in the locker room than he created for his opponents on the field. Letting Bryant walk away in free agency was risky because, at the age of 29, he still has the potential to produce Pro Bowl caliber seasons. 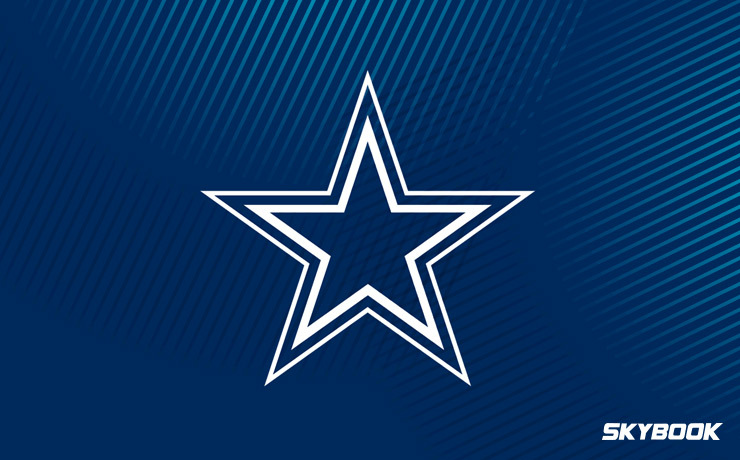 It was a move the Cowboys felt they needed to make, however, for the sake of keeping a strong foundation and team cohesiveness. With the potential to be just as good as any team in the league, the Dallas Cowboys betting odds to win Super Bowl 53 are a value at 30-1. Here at SkyBook, we pride ourselves on being the best NFL sportsbook for all your football betting needs. We offer the best Cowboys odds along with great bonuses that you will not find at any other sportsbook. This is the place to be if you want Cowboys game insight, analysis, injury reports, or any of our other useful analytical tools. The Cowboys have maintained their strong core while shedding some excess weight. Which Cowboys team will we get in 2018?